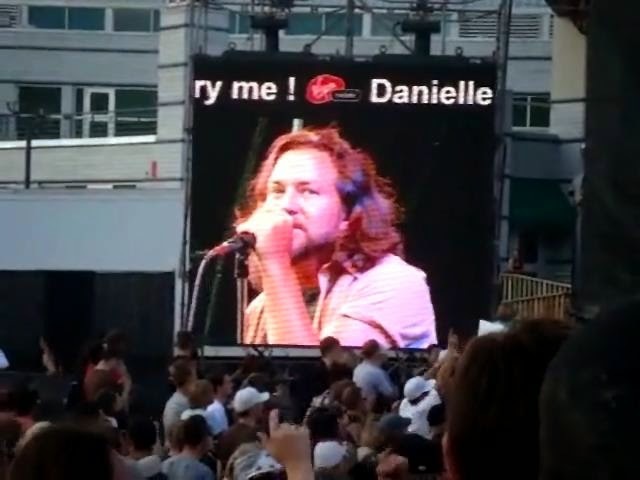 The first Pearl Jam show of season-2009 took place at relatively high altitude at Calgary Olympic Park and that could be a reason why Eddie had been always out of breath. It was one of the meanest Ed's vocal performances ever. On the other hand Pearl Jam introduced live two new songs: "The Fixer" and "Got Some" from their upcoming album "Backspacer". This is an audience you-tube based video, multi-camera edited when possible. 5 missing songs replaced with stills, audio is a sound-board. Picture quality is mostly poor. DVD is by Alvarojam.